Engineers in uniform working with a laptop near transmission lines. 4k00:19Professional electricians discussing construction plan near transmission lines, close up. 4k00:18Working people at an electricity transmission line, close up. 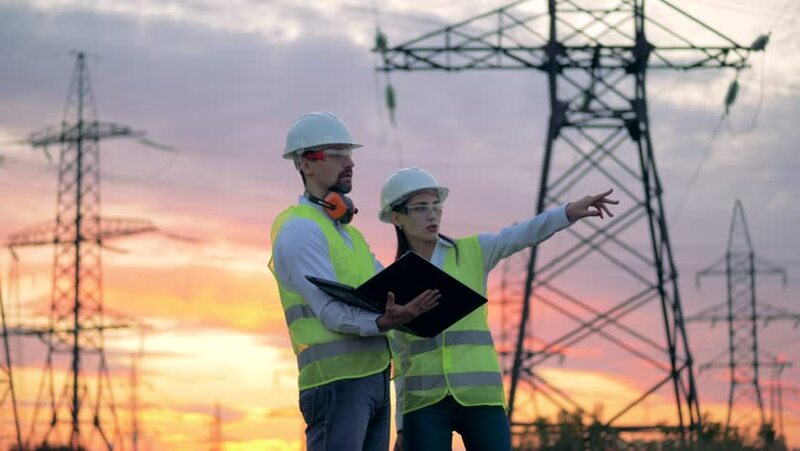 4k00:19Engineers discuss their work at a transmission lines. Professional electricians discuss construction plan. 4k00:17Professional electricians work together near transmission lines. 4K. 4k00:17Engineers working with tablet near power substation, electrical substation, electric substation. 4k00:14Engineers working near transmission lines. 4K. 4k00:20Power Lines and Engineer on a sunset. 4k00:09A man in hard hat works on his laptop at a warehouse, close up. 4k00:17A human and a robot walk together at a warehouse, close up. 4k00:18The close-up of the man suffering from the stomach ache. 4K. 4k00:15The man's sufferings from insomnia. Portrait. Close-up. 4K.